Sixth Form Trip to Envoplan! 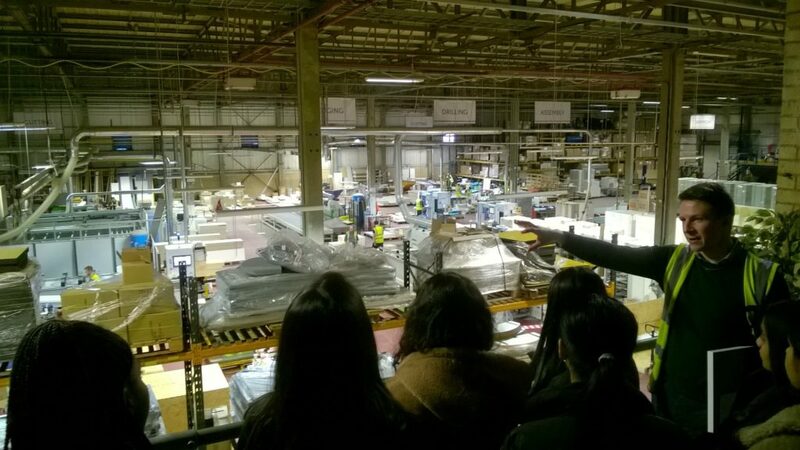 On the 22nd January a sixth form cross curricular group studying Textiles/Fine Art/Graphics/Business visited Envoplan, an interior design and manufacturing company. 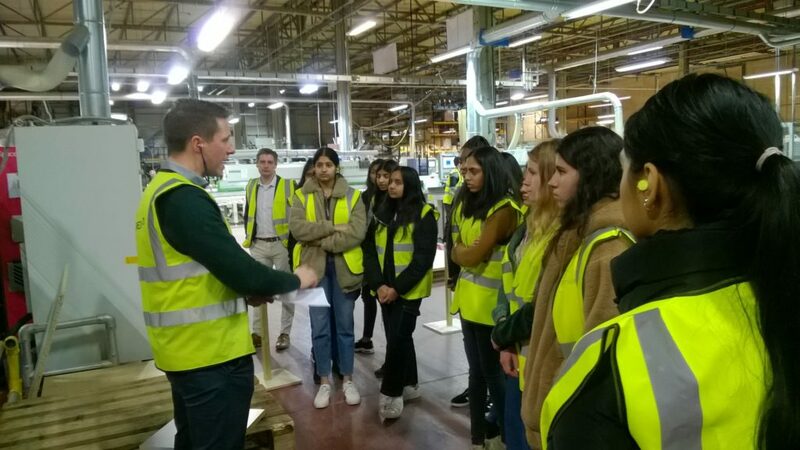 This trip was extremely beneficial to our sixth formers in experiencing a working business design environment from research and development through to production. 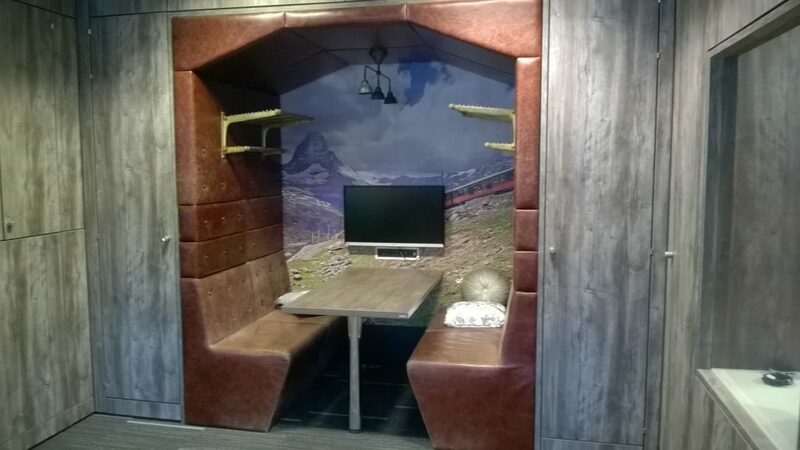 ‘Envoplan are a one-of-a-kind education specific design organisation with integrated project delivery and full furniture manufacturing capability. We design and build beautiful yet intelligent learning environments that support your school’s vision, focusing on positively impacting lives through our design approach. We started the day being shown around the offices and how they had different workspaces for a variety of work needs. The office environment was both creative, warm and productive. We were able to have a talk from the Manufacturing Managers who took us through their production and manufacturing; how they had developed ‘Lean manufacturing systems’ and environmentally intelligent systems. After this, we had a tour of their manufacturing plant and were taken from delivery through to production, assembly and dispatch. Following this, we had a talk from the Creative Lead about how projects started with the client’s needs and how learning/work environments were sketched up and developed to fulfil the client’s aspirations of beautiful intelligent learning/working environments. The day ended with a short talk by the CEO on how he had started the business in his living room and how it evolved over time to be the international company it is today; he said it is their use of ‘innovation’ and ‘design’ which had made them so successful and ahead of their competitors and he had his own thoughts on Brexit which he shared with the girls. It was truly inspirational and educational for the girls to see such an innovative business at work. From the initial design ideas, concepts and planning right through to the manufacturing process and delivery of the products, in addition to the cutting edge approach to environmentally friendly systems. 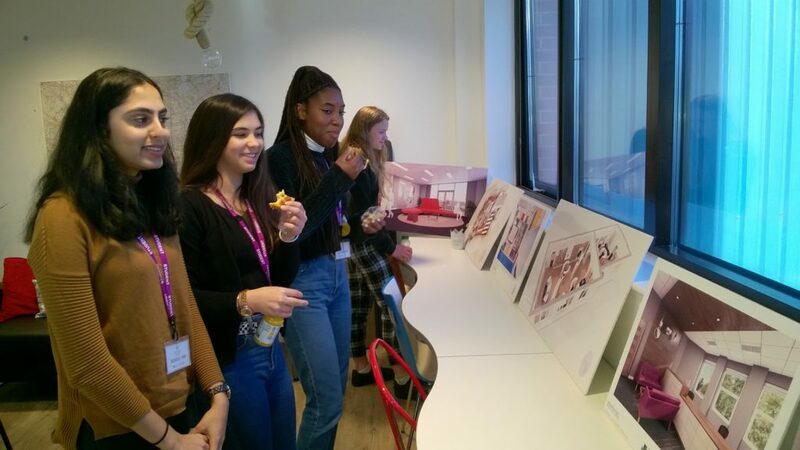 Many of our girls are considering a career in Interior Design, Architecture, Product and Fashion Design or Business and Management within Design, indeed some of our Year 13 girls have already applied and have had offers to study Interior Design and Architecture; it really inspired them being able to see how rewarding such a career can be. 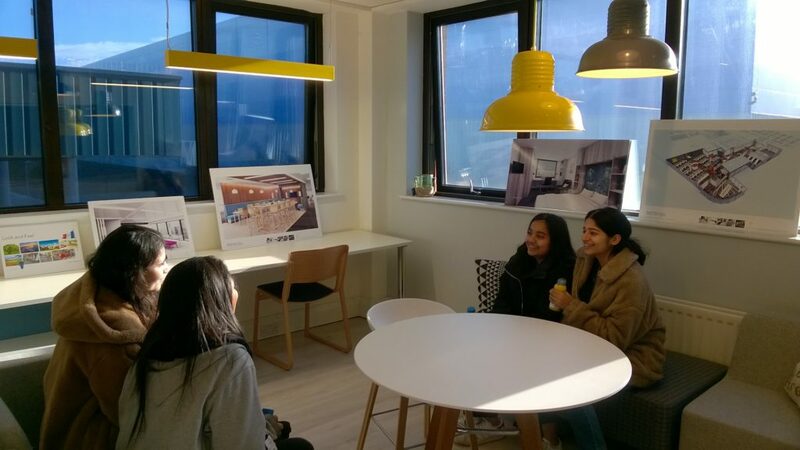 Sheena Patel in Year 13 remarked that it was exactly what she wanted to do and the visit really inspired her and confirmed that she had made the right choice to study Interior Design at University. It was relevant and helpful for all the girls to meet the Project and Manufacturing Managers and the Creative Lead Interior Architect who explained their jobs and the process of how their work is created from initial ideas and concepts, through the manufacturing process, to final products and design, all on one site. It was such an informative, well organised and inspiring day.